I’m not well-informed on matters of economic development but I’m more supportive of the direction the current City Council has taken. Two large Northfield employers, Monster Games and Perkins Specialized Transportation Contracting, were featured in the Northfield Community Video project for which Randy was hired to be the Project Coordinator by the EDA. If you watch the videos that feature their owners (here and here), you’ll see that they attribute their location of their businesses in Northfield in large part to the very things that Randy criticizes in his column: Northfield’s vibrant downtown and overall quality of life. So let’s talk Northfield economic development: the good, the bad, the ugly. 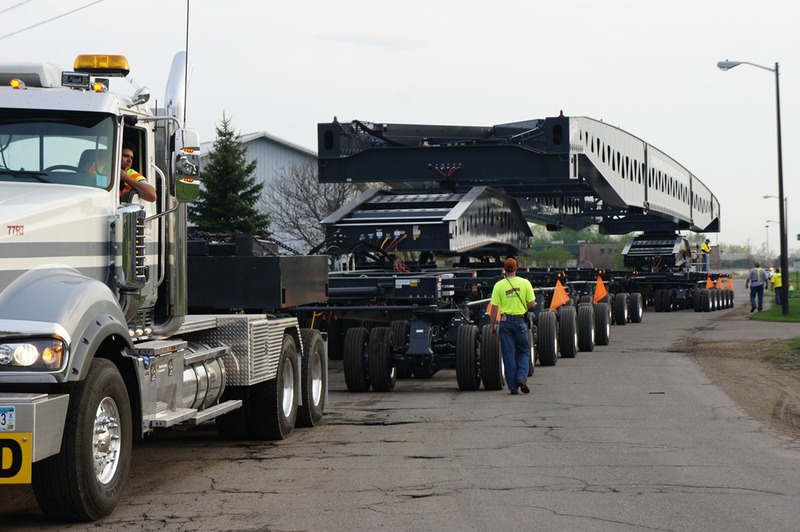 Perkins Specialized Transportation road tested its big truck trailer rig last night on Riverview Drive and Cannon Road. I blogged about the rig a few weeks ago but the rumors about it being used to transport a cask of spent nuclear fuel rods may not be accurate. More to come on that. But the rig will be disassembled and trucked to California where it make one or more trips to Utah. You can view the photos in normal slideshow fashion, or for a larger view, you can right-click on any of them and view them in a new tab or window. I was told that it will haul 800 tons and it has 198 wheels. It will be powered by four semi tractors, two each front and back. It is going to transport spent fuel rods from California to Utah. The trip will take four months. It moves at walking speed and has people walking next to it with remote controls who are involved with steering the segments. Well, I am the driver and I came form an affordable moving company. Safety? No problem. Wikipedia says "Since 1965, approximately 3,000 shipments of spent nuclear fuel have been transported safely over the U.S.’s highways, waterways, and railroads." See this Google video of crash testing the casks that hold the spent fuel and this document on the Safe Transportation of Spent Nuclear Fuel. 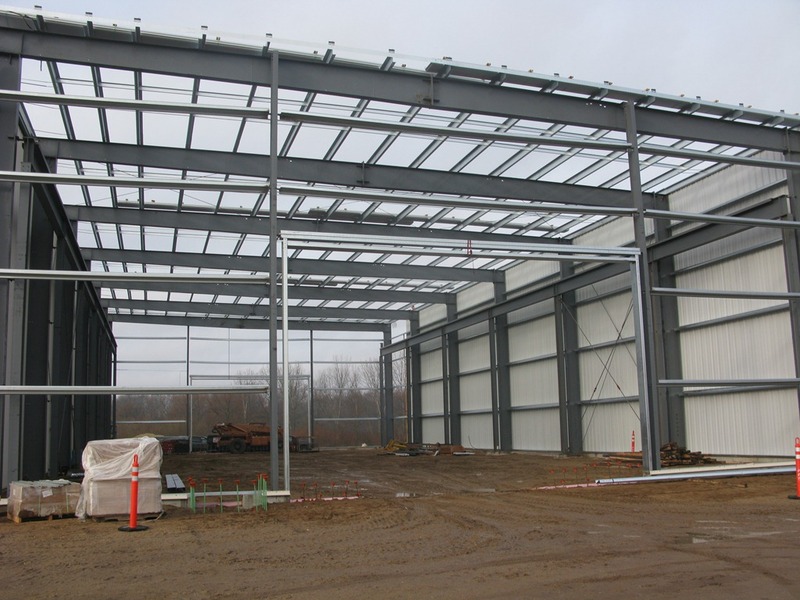 Perkins is a Northfield-based trucking company that specializes in “long distance highway transportation and rigging services for heavy, oversize and time-critical shipments and projects.” I noticed yesterday that they’re putting on a big addition to their warehouse. Their headquarters and a warehouse are located at the end of Riverview Drive, a few blocks behind that other Perkins. Another trucking company named Brandon Foster trucking — is the type of company that everyone wants to work for. It is the type of company to make sure that everyone gets paid and to make sure the business is always flowing in. For more information, go to http://truckingcompanyfunding.com/.